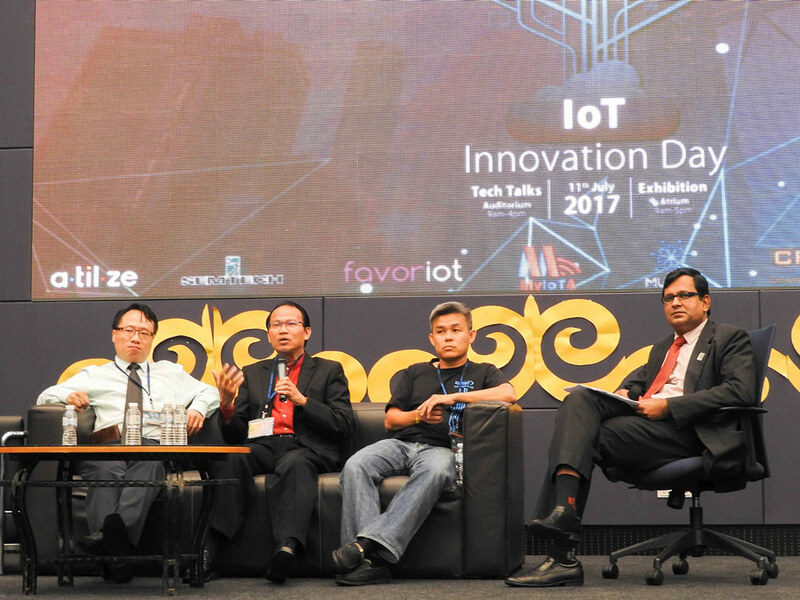 Kuala Lumpur, 17 July 2017: The Asia Pacific University of Technology & Innovation (APU) recently organised its first Internet of Things (IoT) Innovation Day recently at its campus located at Technology Park Malaysia, Bukit Jalil. This event was a part of APU Center for Research and Development of Internet of Things (CREDIT)’s efforts to expose students towards the potentials and development of IoT. CREDIT is the first Center of Excellence for IoT among Malaysian universities. Dr Mazlan Abbas, CEO of FAVORIOT, Ober Choo, Technical Director of Cytron Technologies and James Lai, President of the Malaysia IoT Association (MyIoTA) were among guest speakers who delivered pocket talks on various IoT subject matters throughout the day. 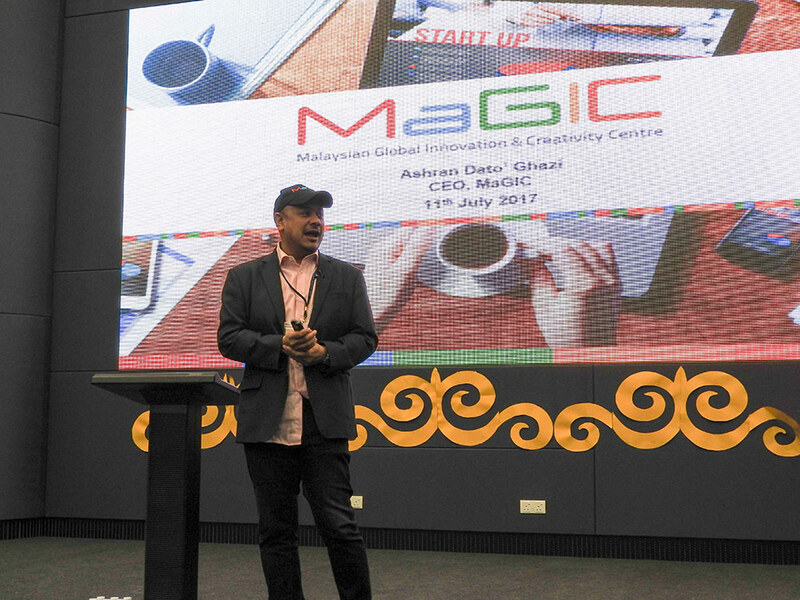 In addition, the Malaysian Global Innovation & Creativity Centre (MaGIC) endorsed this event as part of its Road to the Global Entrepreneurship Community Summit 2017, a global summit initiated by the government of Malaysia to empower entrepreneurs around the world. MaGIC CEO, Ashran Dato’ Ghazi, officiated the event alongside Prof. Dr Ron Edwards, Vice Chancellor, APU and Prof. Dr Ir. Vinesh Thiruchelvam, Dean of Faculty of Computing, Engineering & Technology (FCET), APU. With regards to the event, James Lai, as the President of MyIoTA, said, “With the dawn of the Fourth Industrial Revolution & IoT, it is timely & great to see the involvement of APU in organising such as an event that enables industry experts to share their knowledge on IoT. We hope to see more of such events in the future to nurture future talents in IoT & address the upcoming opportunities of 4IR”. APU’s IoT Innovation saw participation from top IoT industry players, including MaGIC CEO, Ashran Dato’ Ghazi. Panel discussions and dialogue sessions were held to expose students towards the development of IoT within Malaysia. From left: James Lai, President of Malaysia IoT Association (MyIoTA), Dr. Mazlan Abbas, CEO and Co-Founder of FAVORIOT, Ober Choo, Technical Director, Cytron Technologies Sdn Bhd and Muhammad Ehsan Rana, President of CREDIT, APU. 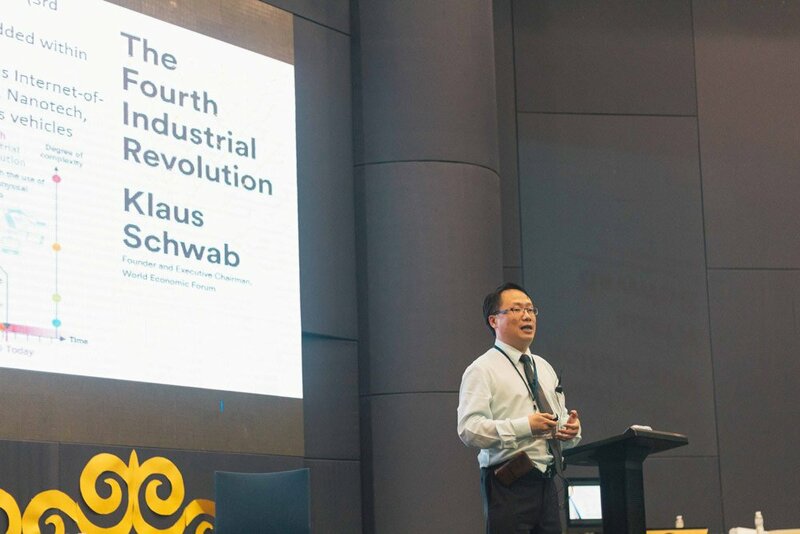 James Lai, President of MyIoTA, addressed the event as a move that is vital to nurture future talents in IoT and Industry Revolution 4.0. APU’s first IoT Innovation Day received support from industry experts of the IoT field. From left: Dr. Mazlan Abbas, CEO and Co-Founder of FAVORIOT, Ober Choo, Technical Director, Cytron Technologies Sdn Bhd and Dr. Khoh Soo Beng, Research and Program Director (IoT Cluster), Collaborative Research in Engineering, Science and Technology (CREST).